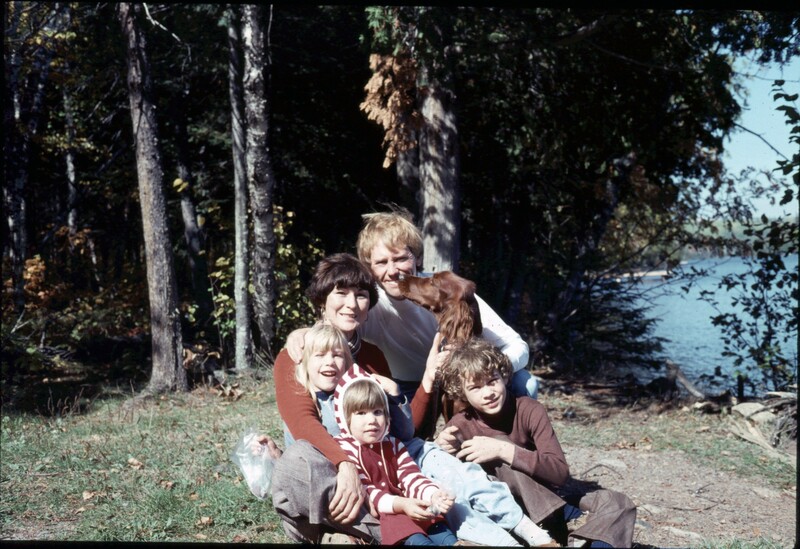 My family and I in the ’70s at Lake Superior during our annual fall trip to Lutsen, Minnesota to see the splendid fall colors. I’ve always been a traveler, all my life, starting during the impressionable years of young childhood and blossoming over time into a full fledge passion and even obsession to see the world. Simply put, I cannot sit still. Not only am I rather type A (I rarely if ever watch TV…too boring, instead I prefer to read a book and let my mind do the thinking, and I cannot be inside the house for an entire day without getting stir crazy), I seem to have a problem with my insatiable quest and desire to travel. I am a wanderlust and will always be. I remember in my early twenties, after spending two stints living, studying, working and traveling abroad, that friends and family told me with knowing certainty that it was good to “get it (traveling) out of my system” and then I’d be cured. I’d be able to enter the real world of work, marriage, family and the one or two annual trips to Disney or Florida. Yeah, right, I thought to myself. I knew even then that I am a diehard wanderlust whose passion for travel and seeing the world will never end. My appetite for travel will never be fulfilled as long as I’m able to travel, both physically and financially. Even before I get home from a big trip, I’m already thinking about and planning the next. If I’m home for more than three months straight without leaving the state of Minnesota, I start to get antsy and sometimes the shakes. I know in my heart and soul that I’ve got to move (I know Dad, I’m a lot like you!). I’ve got to get out of here (as much as I love Minnesota I still start to feel claustrophobic when I’m stuck here too long. I feel this isolated sense of being trapped and this burning desire to escape and see something else whether it be nearby Wisconsin or far away in Kathmandu. No matter what anyone says, once a traveler, always a traveler. I’ll never be able to cure my wanderlust and you know what, that is more than fine with me. Traveling make me who I am. I love to learn and to explore. What better way to keep on learning than to use the world as your classroom? I can’t think of any other way. 1. Bhutan: An isolated, royal Himalayan kingdom tucked away near Nepal is supposedly a true gem. With very few travelers and a big cost to get inside (I believe the government charges tourists over $250 a day to visit), this undiscovered place is mysterious and is just waiting to be discovered. I dream of doing a trek there someday with my dad. 2. Kenya and Tanzania: I have wanted to climb Mount Kilimanjaro for over ten years now, ever since my father did it the fall before my wedding in 2000. I’ve read about it, watches documentaries. and have endlessly dreamed of completely the climb before the snow melts. With global warming, it is only a matter of time before the lovely snows melt off the top of Kilimanjaro taking away a vital water supply for the whole region and the mountains incredible beauty. I would love to combine the climb with a volunteer stint at a nearby village. This is on my “almost turning 40 list“. We’ll see when I can get it done. 3. Cambodia, Vietnam and Thailand: I lumped all these countries together because there is no way I could decide which one I’d most want to do first and I know that it would take months to see them all. I’ve been to Japan but never to Southeast Asia. I would love to go check it out someday! 4. Guatemala: I recently did a volunteer trip in Costa Rica and feel in love with its culture and beauty. Pura Vida fit my life perfectly. 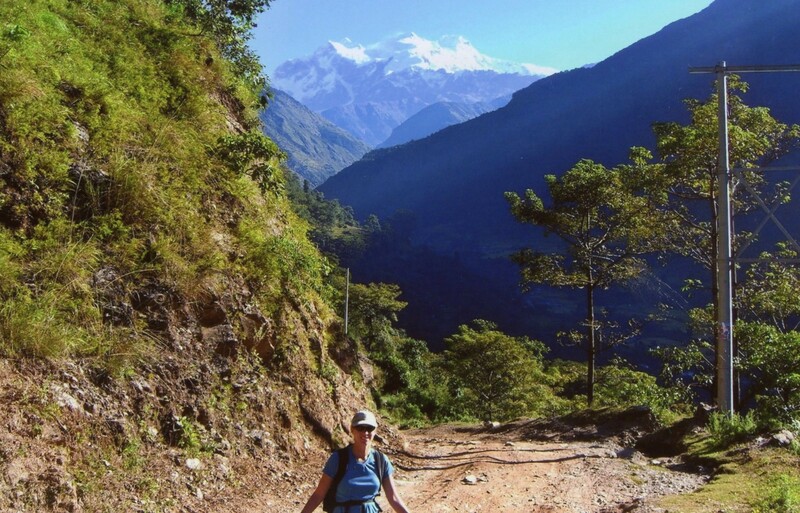 I am extremely interested in checking out nearby Guatemala, especially the indigenous communities and perhaps doing a volunteer trip there this spring. 5. Antarctica: I’ve been all the way to the southern tip of Patagonia on the Chilean and Argentine side and longingly wished I could hop a quick flight or boat over the last continent I have yet to visit. I’ve always dreamed of seeing all 7 continents and I think the beauty and isolation of Antarctica (plus the penguins) would be sensational. I have high hopes for continuing my quest to be a wanderlust and hopefully instilling this passion soon on my two young children. I can’t wait to show them the world! I can’t encourage you enough to explore SE Asia. I adore the place and hope one day to actually live in Bangkok. I too want to see Kenya and Tanzania–but more than any other place in Africa I want to visit Cape Town–though any place in SA would do. I agree that there’s no way to cure a wanderlust–the only cure is to go, do, see and be. Great post! I’m with you, sister! I would LOVE to! I just need the time! I know I’d fall in love with it over there. It is hard now because I can only leave for short amout of time due to the kids. But hopefully some day I’ll be able to show them the world. Only problem is that it is expensive. But I’ll keep trying to figure some way to do it! I’m always amazed by how many of your posts I can relate to! My limit for not traveling is also about 3 months- it’s around that time that I get really antsy and a bit more irritable. 🙂 Kenya and Antarctica are both on my top three list right now (the third is Japan). Unfortunately, all three are bit pricey to get to and/or travel in but I’m hoping to go to at least one of them in the next few months. I can’t wait to hear about your trip to Guatemala- a couple of folks have recently recommended it to me for my rtw, so I’m definitely curious about your experience. Thanks for the response! Ahh…so I’m not alone! Only hard thing is that it is more difficult to get away now with the kids. I am so fortunate to have a husband who supports my need to travel and a wonderful mom who helps with babysitting. I am truly envious of your upcoming RTW trip. I wish I would have been able to do that with my husband before we got married. It just never worked out. We hope to travel a lot when we are retired, as long as our health is good. Right! Got to have dreams! I’m glad that I married a fellow wanderlust.! If you make it to Guatemala I hope we get to meet up! I also lived in Thailand for 5 1/2 years and am thinking of moving back there. It’s an incredible country. I hope you get to visit! I’ve traveled and lived overseas for almost 20 years and still have a long list of places I want to go. I think each year it gets longer not shorter! I am working on it. I’m hoping to come the first week of April and would love to swing by Antiqua. I will let you know more as the time approaches and the plans materialize. I would also love to go to Thailand. My uncle actually married a Thai woman. She is not much older than me yet they are still together and she went on to get her PhD here in the States. She is also an amazing cook!